Besides the exhibition and first-rate scientific lectures, once again the International Trade Fair for Laboratory Technology, Analysis and Biotechnology (May 10–13, 2016) will have a supporting program featuring a number of impressive highlights. Now visitors can look forward to their favorites, i.e. the Live Labs, practice-oriented forums and career tips from the experts on analytica Job Day. What does a modern, fully equipped laboratory look like and what devices are used for material and food analysis? Anyone who wants to see for themselves should be sure not to miss the lab bench presentations at the Live Lab on Material Analysis in Hall B1 and the Live Lab on Food Analysis in Hall A3. Experts from science and industry will give 30-minute lectures and live demonstrations about the latest developments in material analysis, for example on topics such as sample preparation, material classes and quality assurance. In the food analysis sector, they will focus on innovations in pesticide and residue analysis, ways to detect antibiotics and other pharmaceuticals, mycotoxin analysis and much more. Visitors get practice-oriented insights and can experience all common techniques as well as special-purpose methods in real laboratory surroundings. Lectures are held at 11:00, 13:00 and 15:00 on Thursday through Thursday and at 11:00 and 13:00 on Friday. 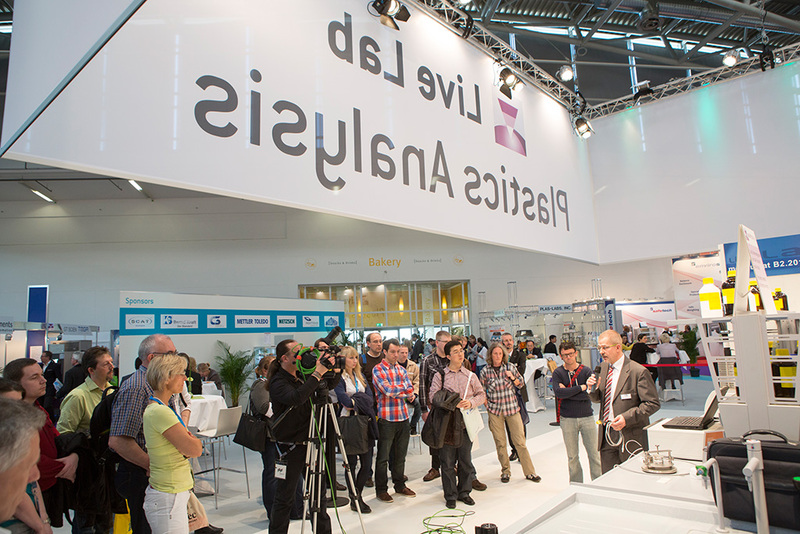 analytica is more than just the most important industry gathering for experts in the laboratory technology, biotechnology and analysis sectors. The international trade fair is also a platform that allows visitors to take valuable tailored know-how home with them. New startups in the life sciences in particular profit from tips from the professionals at Finance Day in Hall A3 on the third day of the fair. This year, Finance Day revolves around ways that new businesses can gain a foothold on the American market. In a lecture titled “Entrepreneurial Thinking: A key to success for German biotech startups,” Andy Goldstein will give tips for founding a company in the United States. In his presentation titled “Going to the States—Addressing US investors: What do German biotech companies have to consider,” Jonathan Fassberg will explain the challenges, which new companies in Germany can expect, and how to impress American investors with their ideas. Anyone who wants to update their technical know-how on a specific topic can take advantage of the customized range of training events for laboratory experts that training and consulting specialist Klinkner & Partner has put together for this year's fair. What capabilities does personalized medicine now offer, and what are the limits of these new technologies? At the Focus Day, on Personalized Medicine at the Biotech Forum on May 13, 2016, everything revolves around individual therapies thanks to modern diagnostics and gene therapy. Eminent authorities from research and industry report on the latest issues and give their appraisal of the status quo. Exciting topics are on the agenda: Prof. Dr. Theodor Dingermann from Goethe University in Frankfurt am Main will give a lecture titled “Personalized medicine: 15 years of the human genome—Where do we go from here?” In Panel 1, representatives of the research sector and the Association of Health Insurance Funds and Pharmaceutical Companies (Verbands der Ersatzkassen und der Arzneimittelhersteller) will discuss the topic “Stratified, personalized and precise: New diagnostics and therapies, from development to the point of care.” Panel 2 promises to be an interesting highlight: “Volume, velocity and variety—from big to smart data” is the title of the panel discussion featuring prominent representative of SAP SE, Molecular Health and the Hasso-Plattner Institute. In addition, the Life Science Research working group in the German Diagnostics Industry Association is organizing a series of lectures on personalized medicine in the Laboratory & Analysis Forum at 12:00 and 14:00 on Tuesday and Wednesday. Topics are amongst others “Measuring tumor load with personalized Droplet Digital PCR assays” and “Interactions of growth factors with the extracellular matrix”. analytica allows visitors to find answers to many of the latest questions about working in the laboratory on a daily basis. Experts will present marketable product innovations, use their expertise to advice, and assist visitors in the Biotech and Laboratory & Analysis Forums at this year's fair. Experts in the Biotech Forum will present the latest methods for the life sciences in best practice lectures, while presentations in the Laboratory and Analysis Forum primarily focus on optimizing laboratory processes. Attending the forums is included in the price of admission to analytica. Anyone who is considering furthering their career in the industry should be sure to attend jobvector career day in the Forum on May 13th. On the last day of the fair, HR managers from several companies will be on hand to give career tips in personal discussions. This kind of first-hand information is directed at both college graduates and seasoned industry professionals. Participants include many corporations and medium-sized companies in the pharmaceutical and biotechnology sectors. In addition, job seekers can have their job application documents checked by professionals and profit from a job interview that is conducted live. As in the past, Student Day will take place on the same day: It gives future professionals a chance to gather information about careers in the life sciences and about prerequisites for degree programs and jobs.